The impact of Solange’s A Seat At The Table is still being felt. It’s been just over a month since the album’s initial release and as predicted, women are bringing the “Don’t Touch My Hair” anthem to life with their Halloween costumes. We don’t throw the term “iconic” around too loosely, but if this past weekend is any indication, Solo’s album cover will go down in hair history as one of the best ever. Seriously, when have contour clips ever looked so chic? 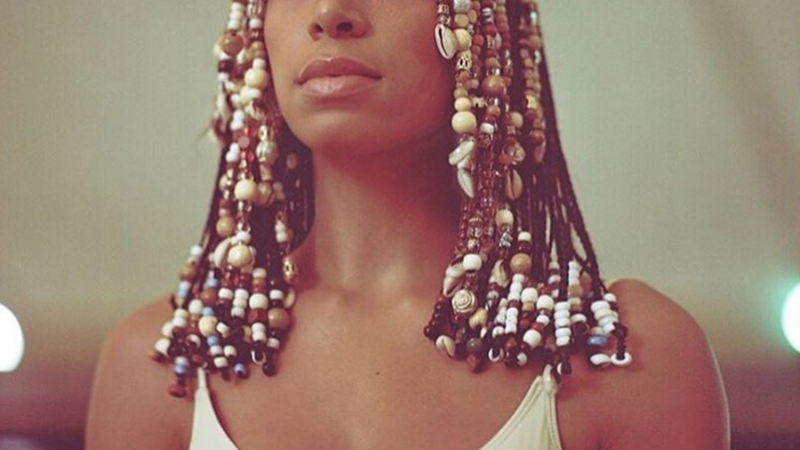 If you’re a proscrastinator who still wants to get in the holiday spirit, get inspired by these beautiful black women who put their own spin on key hair moments from Solange’s chart-topping album. The more colors, the better! She’s rocking her clips with confidence. And this beauty took it a step further by whipping her beads into motion. Slay! Don’t touch her hair…or else. Even with twists, you can channel Solo this Halloween. Dipped in gold and fabulous!